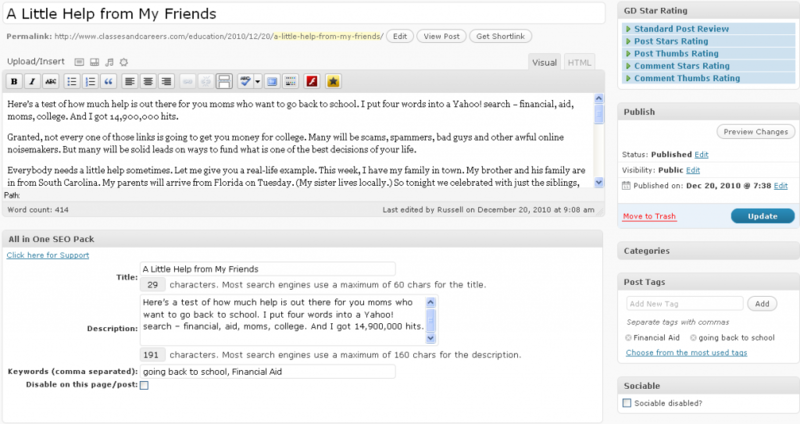 This explains how to optimize your articles so they can be found on the internet. 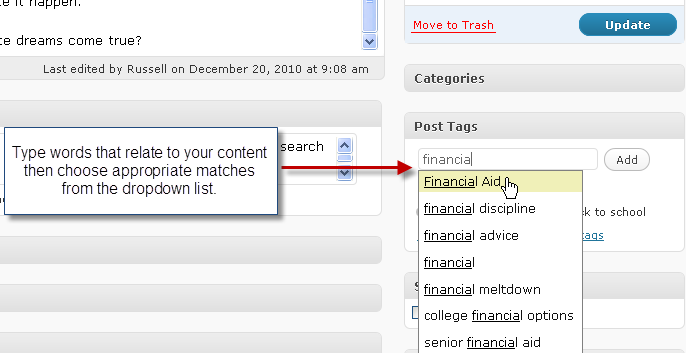 There are two tools: Post Tags and All In One SEO. If you use these tools your article will appear in searches more often and increase the readership of your writing. Note: This article has been written for the benefit of WordPress users who have the All In One SEO plug-in installed. After you enter the tags and press the “Add” button it should look like this. This is the All in One SEO Pack. Filling this out will help optimize your articles so they can be found on the internet.